This house proves that elegant antiques aren't out of the budget for those who are determined, creative and have access to Craigslist. 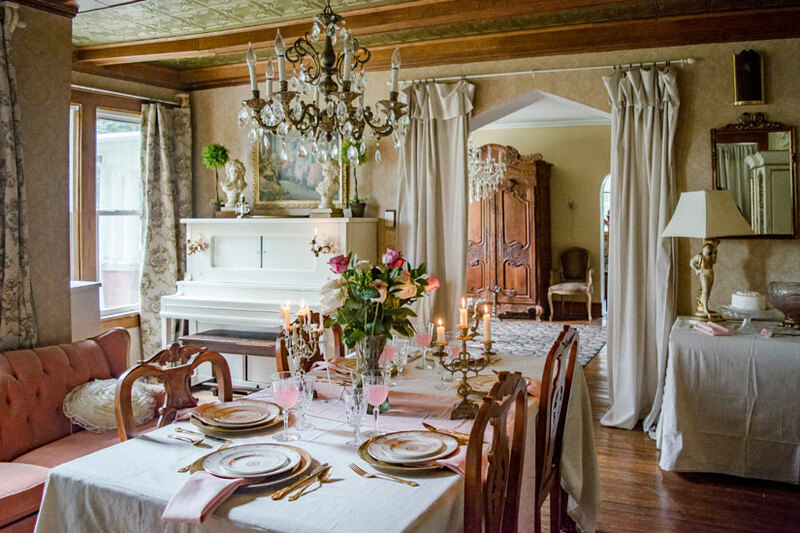 Overcoming the challenges of a large space, Larissa managed to fill her dining room with antiques she loves and coordinate with the pink and neutral palette that extends throughout the house. Your ability to create your dream home has more to do with perseverance than the money in your bank account. 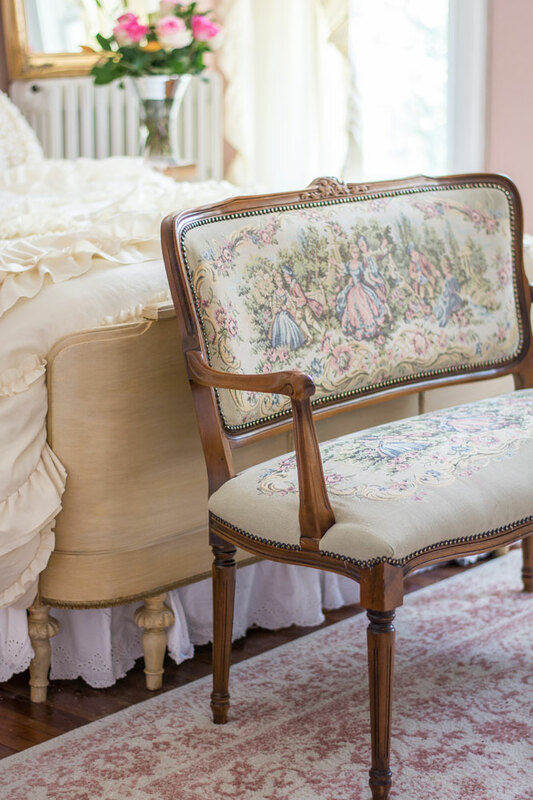 For homeowner Larissa Jenkins, her next antique find is only a click away. “Most of my antiques are from Craigslist,” she says. 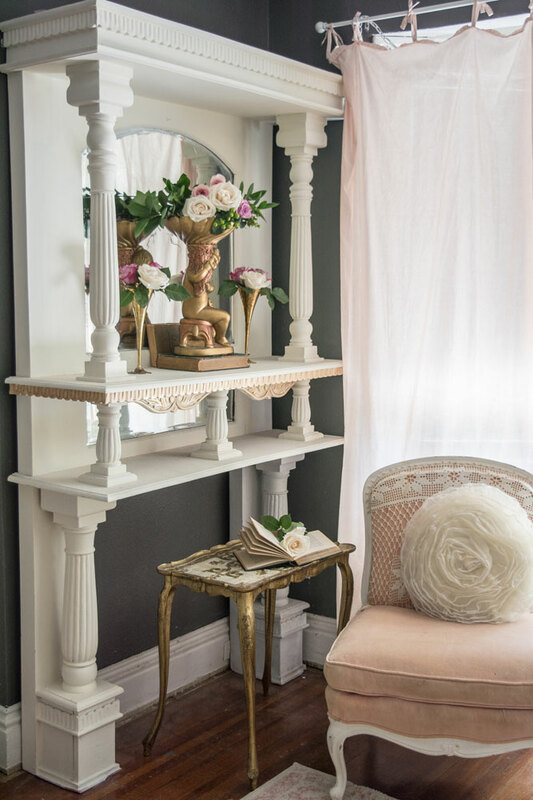 “People must not know what they have, because they are almost giving their stuff away.” With a little paint and some stunning steals, Larissa has created a home filled with Old World elegance on a reasonable budget. In 2013, Larissa and her husband Michael were on their way to Shenandoah, Iowa, to look at a promising home, but it was sold by the time they got there. Disappointed, they decided to take a drive around the area and spotted another home for sale that they instantly fell in love with. “We talked to the owner, and she had put up her for sale sign only an hour before we got there,” says Larissa. It was fate. After years of searching, Larissa found her dream antique armoire on Craigslist and drove all the way to Nebraska to retrieve it. “The whole thing was in pieces, but that’s how you can tell it’s legitimate. There were no screws. All the pieces just fit together,” she says. They loved what the house had to offer, but it needed some love. “There was a hole in the foyer when you walked in and scary ceiling fans in every room,” says Larissa. 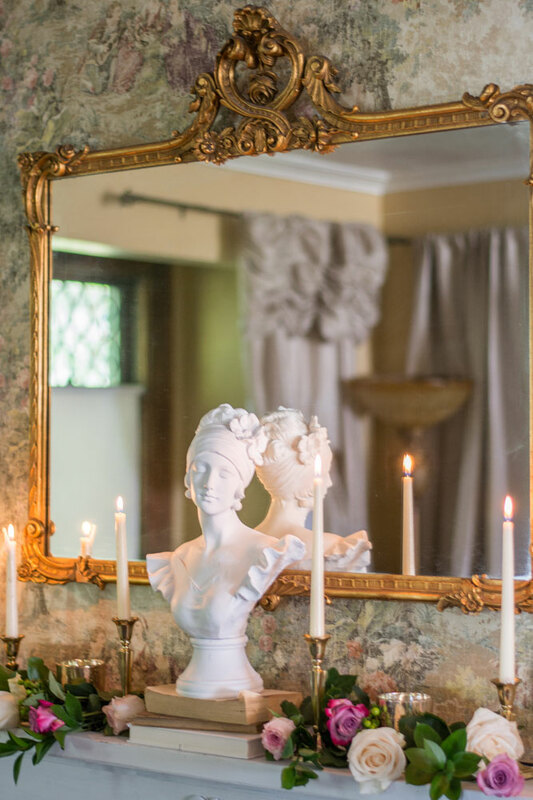 By replacing the ceiling fans with chandeliers, putting up wallpaper and filling the home with her antique treasures, she integrated her style into the older foundation of the home. 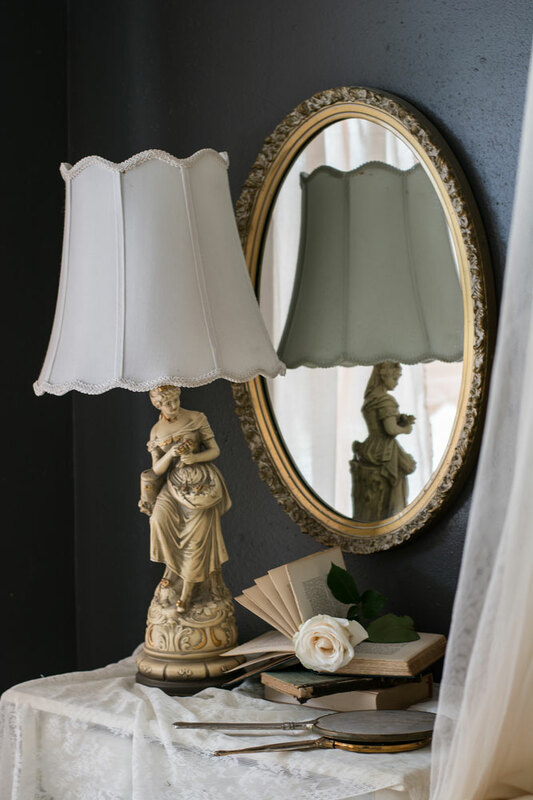 A haven for Larissa’s antiques, the spare bedroom showcases her talent for finding stunning pieces online. “90 percent of the pieces in the spare bedroom are from Craigslist,” she says. Larissa kept her changes minimal to maintain the integrity of the early 20th century home. 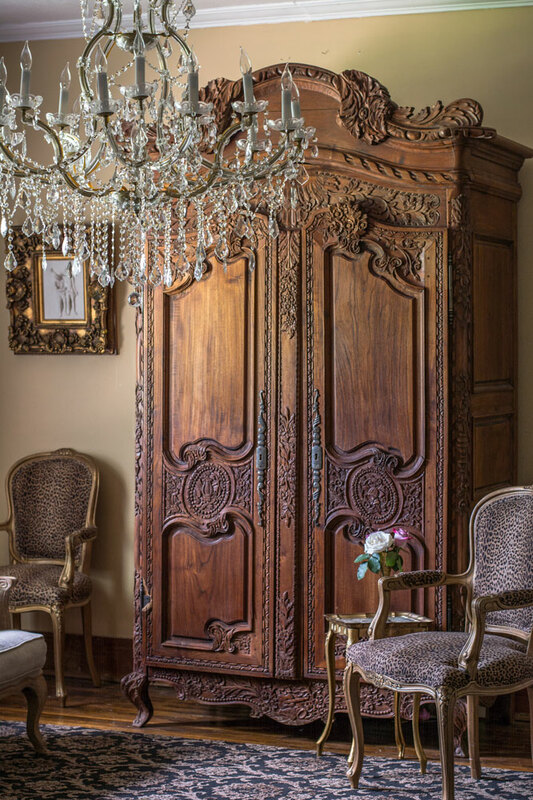 “This house felt old worldly, and I started buying French antiques to add a European feel to it,” she says. Living between two cities, there aren’t a lot of options in the way of antiques stores. That leaves thrift stores, garage sales and Craigslist, which can turn up some surprising quality pieces. She has found several French chairs on Craigslist—most of them for around $50. 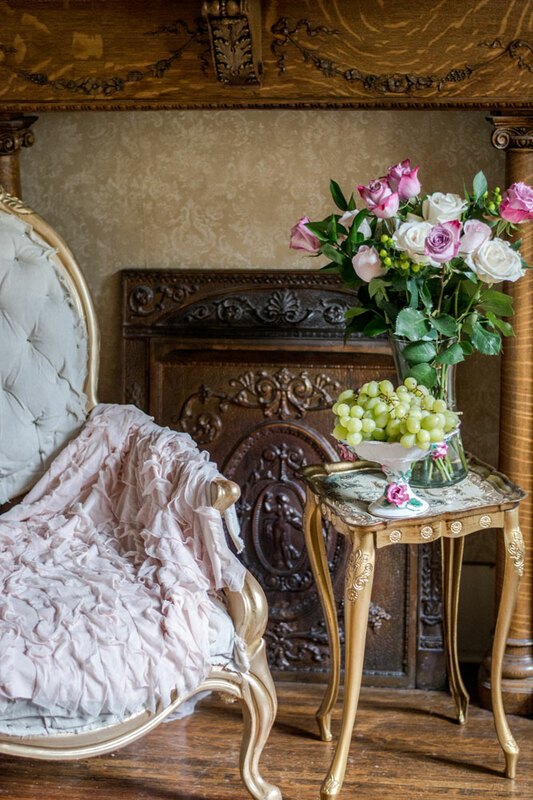 What she loves most about these antique pieces are the stories behind them and the character they bring to her home. “Almost every piece I’ve bought has a story behind it,” she says. “They’ll tell me the history and what it means to them.” But don’t get discouraged if your home doesn’t come together right away. It takes time and patience to find the good ones. “It’s hard when you really want something and you’ve been looking for years, but you just have to wait for the right piece. It will eventually come to you,” she says. Craigslist isn’t just for finding odds and ends. 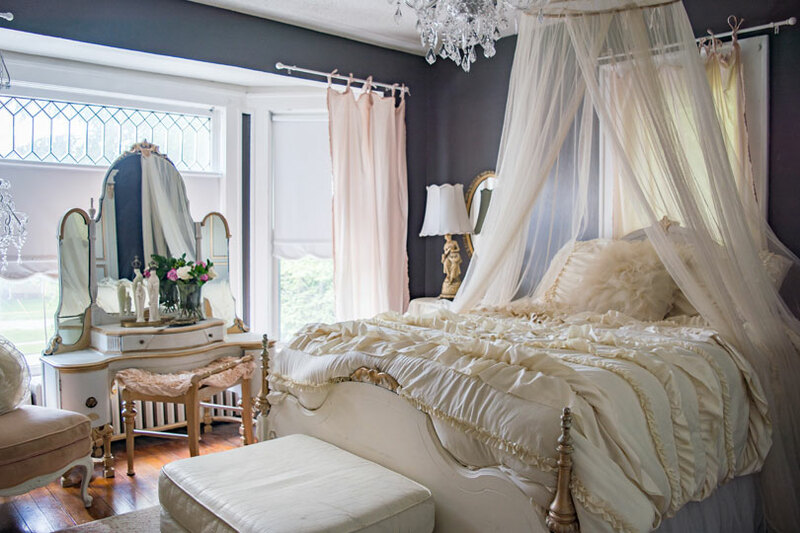 Larissa purchased a bedroom set from Craigslist that included her bed, dresser and vanity, which she painted to match her color scheme. These pieces keep the room looking feminine even with charcoal colored walls. To bring her own character into the home, Larissa relies on the basics. 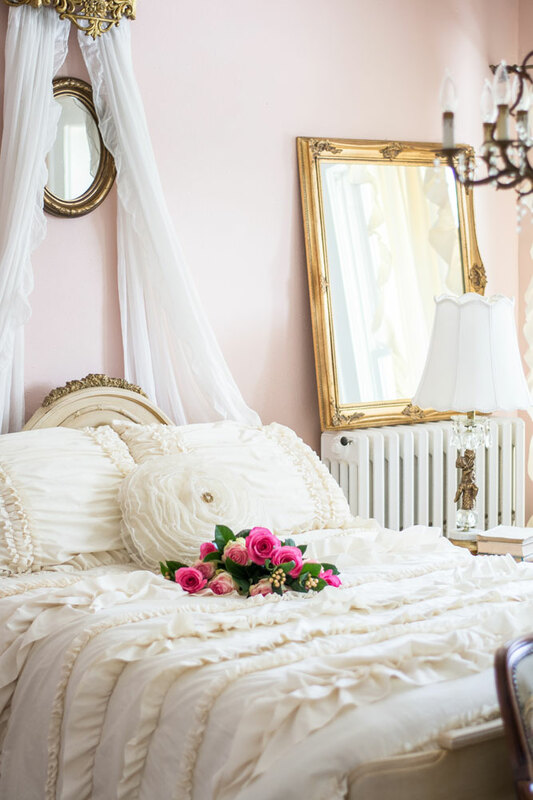 “Adding candles and fresh flowers to a room makes it feel beautiful and elegant,” she says. These small additions go a long way in making her home beautiful and period appropriate. Larissa sticks to greens, browns and pinks in the home, choosing popular colors during the time the home was built. “I love pink, so I try to bring pink in whenever possible,” she says. 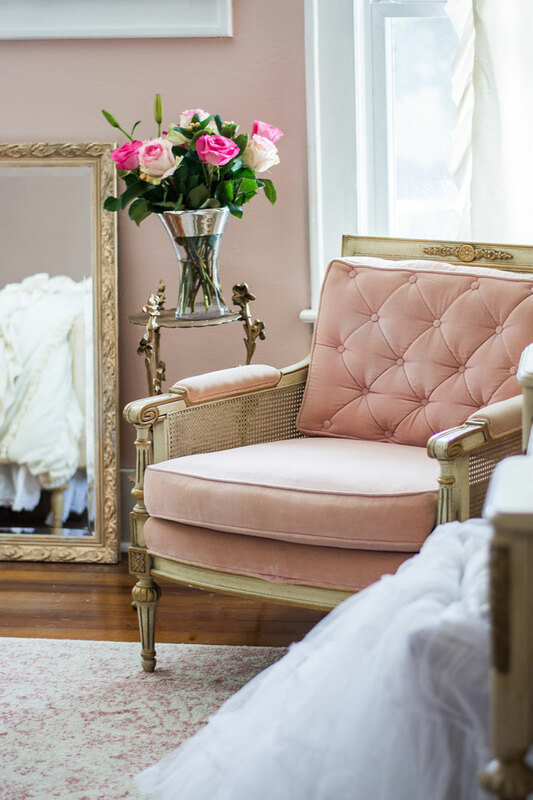 Whether in flowers, blankets or furniture, Larissa has found a way to incorporate this romantic hue in every room of the house. With an older aesthetic comes the need to think ahead. Larissa had to keep organization in mind when purchasing her pieces. “Our bathrooms all have pedestal sinks, so we lack storage, but that’s where our china cabinets come into play,” she says. “Not only are they beautiful, but they really do keep me organized.” She got the best of both worlds.